Recent moves to introduce plain, standardised packaging of tobacco products can save lives by reducing demand for tobacco products, say the World Health Organization (WHO) and the WHO Framework Convention on Tobacco Control Secretariat (WHO FCTC). Plain packaging of tobacco products restricts or prohibits the use of logos, colours, brand images and promotional information on packaging other than brand and product names displayed in a standard colour and font style. In December 2012, Australia became the first country to fully implement plain packaging. On May 20, 2016, France and UK began implementation of plain packaging. Ireland is also preparing to introduce the measure, while other countries are exploring the option. In India, the Supreme Court recently ordered tobacco companies to have atleast 85 per cent of the packaging covered with health warnings. The order specified that 60 per cent should be pictorial health warning while 25 per cent should cover textual health warning. Plain packaging is recommended by WHO as part of a comprehensive approach to tobacco control that includes large graphic health warnings and comprehensive bans on tobacco advertising, promotion and sponsorship. Smoking in Australia has been steadily declining for years. Australia introduced plain packaging, in conjunction with new and enlarged health warnings, in 2012. Between December 2012 and September 2015, there was an additional 0.55 percentage point fall in smoking prevalence among those aged 14 and above attributable to the packaging changes, according Australia’s post-implementation review. This equates to more than 108,000 people quitting, not relapsing or not starting to smoke during that period. Oleg Chestnov, WHO’s assistant director-general for Non-communicable Diseases (NCDs) and Mental Health, says Australia’s plain packaging results demonstrate the great potential of the measure. “Plain packaging can reduce demand for tobacco products, as clearly seen in Australia. It offers a powerful tool to countries as part of a comprehensive approach to tackle the scourge of tobacco use,” says Chestnov. “Plain packaging is going global as more and more countries seek the important health gains it can bring to communities,” says Bettcher. “The tobacco industry has been getting ready for plain packaging for some time, conducting massive misinformation campaigns to block the measure." To mark World No Tobacco Day, WHO is launching a new guide to plain packaging of tobacco products, which gives governments the latest evidence and guidance on implementing the measure. India's health system is overburdened with tobacco-related diseases like cardiovascular diseases (heart disease and stroke), a range of cancers, respiratory illnesses, diabetes, asthma and tuberculosis (TB) among others. "Tobacco-related diseases are preventable, avoidable and evidence-based measures are already known to avert this public health disaster. Why is the sense of urgency not driving our public health programmes," comments Rama Kant, former president of Association of Surgeons of India. Tobacco use is the second leading cause of cardio-vascular diseases in India, claims a civil society report. “Tobacco use is estimated to cause nearly 10 per cent of cardiovascular diseases (CVDs). 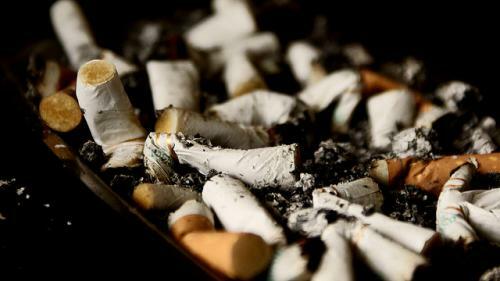 Nearly six million people die from tobacco use or passive exposure to smoke, accounting for 6 per cent of female and 12 per cent of male deaths worldwide, every year,” says Rishi Sethi of Department of Cardiology, King George’s Medical University. “There is no risk-free level of exposure to tobacco smoke. Non-smokers who breathe second-hand smoke have 25–30 per cent higher risk of developing a CVD," adds Sethi. In Uttar Pradesh, heart disease rates have shot up along with rising tobacco use. Sethi claims that over 4,500 angioplasty procedures and almost 2,000 lifesaving pacemaker implantations have been performed in 2011-2012 in the state. The number of these procedures has increased by almost 30 per cent over previous year.